After my failed attempt to see the beautiful Mount Mayon on its full view a year ago I promised to myself that I will return to this place and hopefully sight the volcano on its perfectly cone shape. This volcano is considered to be the world’s most perfectly formed volcano for its symmetrical cone. 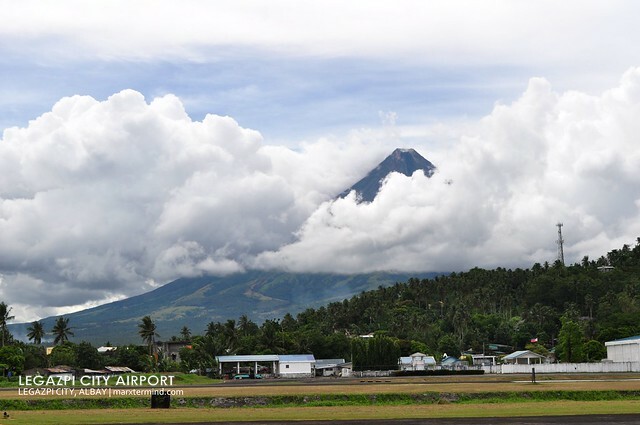 Clouds were obstructing the volcano for showing its glam when I visited Legazpi City a year ago. I was disappointed. They say that the volcano usually shows off at early morning and late afternoon. Getting to Legazpi City. 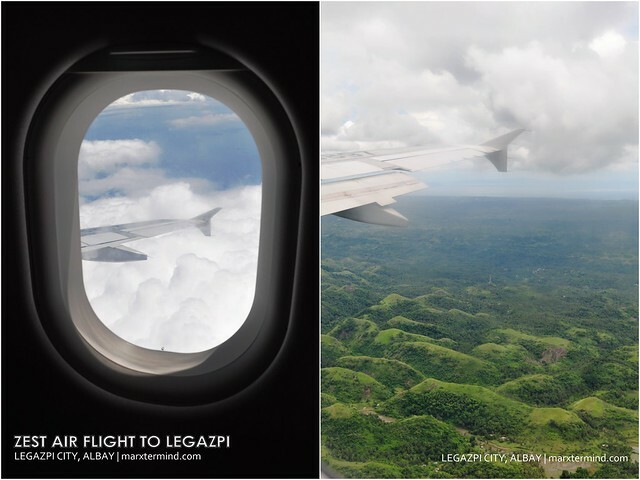 Me and my friend flew a zest air flight from Manila to Legazpi City. 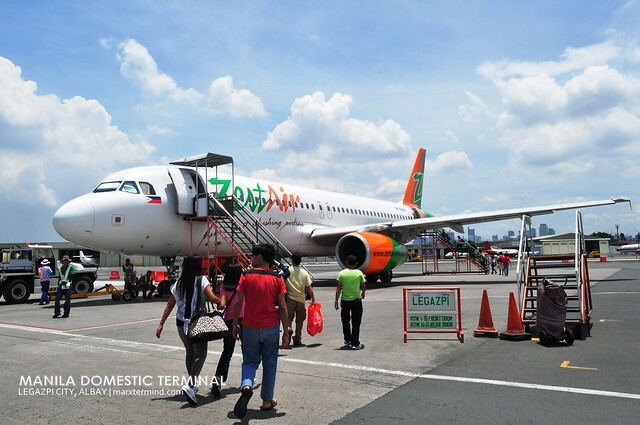 It was my first time to ride a Zest Air plane and my first time as well to go to Albay via Legazpi Airport. Before checking in to Manila Domestic Airport for our flight I already planned to ask the counter check in crew to assign us on a window seat wherein we can have an aerial view of Mount Mayon. Unfortunately, I forgot to ask and I just had it remembered when we’re already inside the terminal gate. Anyways, when you fly to Legazpi and you want to see the aerial view of Mount Mayon asked for a window seat on the left side of the plane (left when facing the front area of the aircraft). We arrived at Legazpi Airport past lunchtime safe and sound. 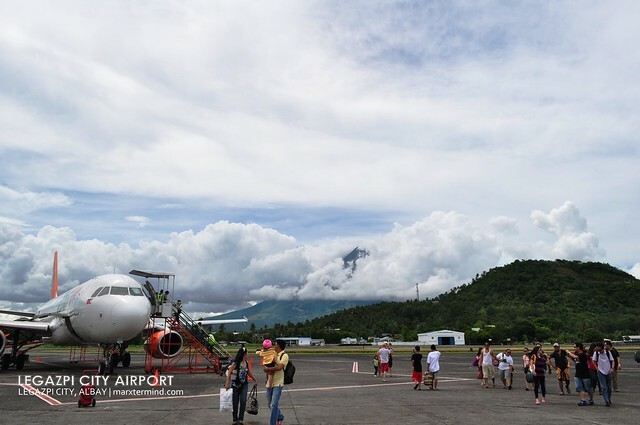 The breathtaking Mount Mayon welcomed us as we walked out from the aircraft. This volcano is so visible from the tarmac. I must say this airport has one of the most appealing airport backdrop. We went out from the terminal and rode a tricycle to Legazpi Tourist Inn, where we will be staying for a night. Tricycle fare is PHP 50.00 for a special trip. Legazpi Tourist Inn. 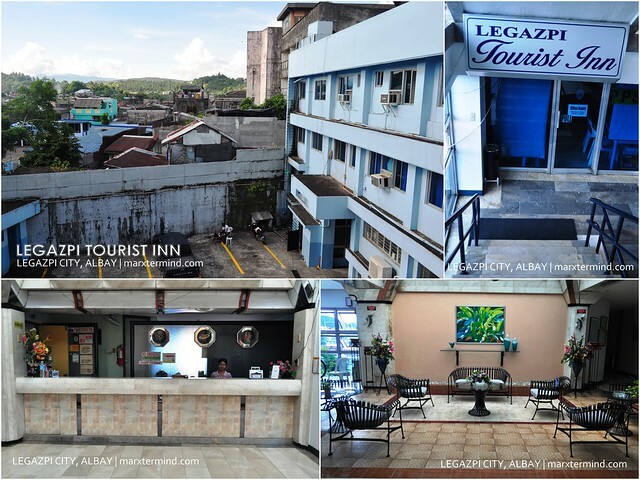 Located at the 3rd floor of V&O Building in corner Quezon Avenue, Lapu Lapu St, this tourist inn is situated right at the center of the Legazpi Central Business District. Its about 15 minutes ride from the airport. Our friend, Chino, was already in our room waiting for us. He arrived in Legazpi City earlier as he took a night bus from Manila. Because were on a tight budget we opted to stay on a standard fan room. 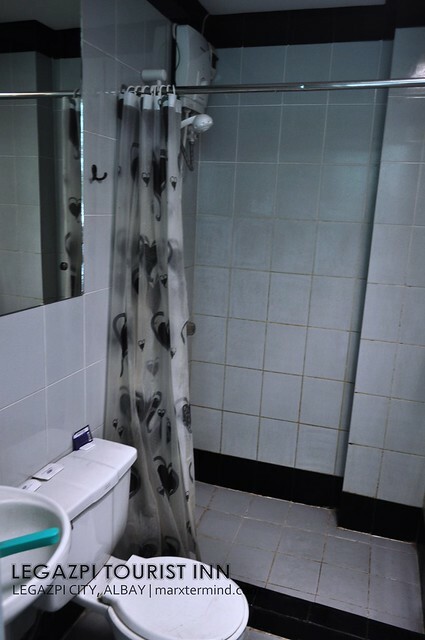 The room costs about PHP 900.00. The room was in fact OK. It looks clean as well as the bathroom. The bed are in good condition. Although the fan seems like not helping to ease the humidity of the room. It was hot inside (or is it just that day), we need air to cool us off. Despite of our situation in our room, we were able to overcome the humidity. I think I even had a good sleep. This is how the room really looks like when we occupy it. We dropped off our bags and prepared for our first day activity. Does that inn have a free wi-fi? Thanks! excited for this legazpi series! totally love the photos. galing lng ng mga kuha kuya! Thanks for sharing this! Now I have prospect of where to stay in Legazpi in case we plan a trip here. 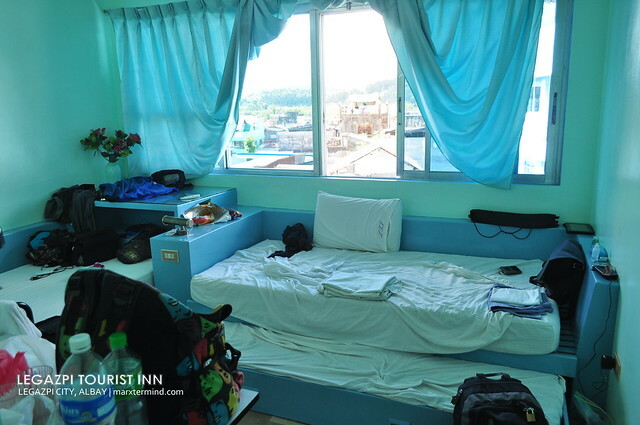 Legazpi Tourist Inn offers affordable prices for budget travelers like me! Holy **** . Look at our room? Dinaanan lang ng bagyo. It was through my eyes I just took Mount Mayon a picture through my window glass. 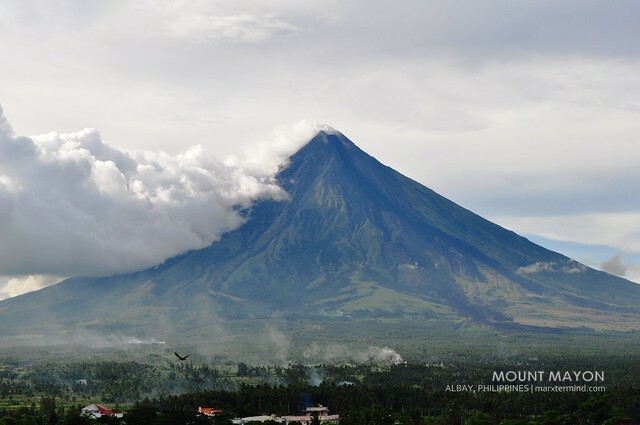 Through my window I see the sky with fluffy white clouds and Mayon was just so perfect. It was such a great experience. I can't wait to read your Bicol series. See you on the road soon. never ko pa na try mag zest air. buti hindi ka nila na-sampolan. hihihi! Para sayo talaga siguro ang trip na yan. ^_^ thanks for the tip. sasabihan ko mga kasama ko na pumwesto sa left sa august. I'm sure you had fun in Bicol kahit naka covered ung mayon ng clouds. Happy travels!